Tamerx offers CP3 HPCR Diesel Fuel Pumps for both the Dodge Ram 5.9L Cummins Diesel and the Ram 6.7L Cummins Diesel. This is a Bosch Automotive designed system. The bosch fuel system is one of the most common used today. This system is a very robust design. The system operates under very high pressure and must be kept free of any contamination all times. Tamerx can offer testing of pumps for customers that may need this service. The CP3 Pump used on the Dodge Cummins 5.9L is slightly smaller in displacement than the pump used on the Ram 6.7 Cummins Diesel. These pumps can be interchanged with a small modification in the fuel line. The larger pump is a direct bolt on. It only requires a slight bend in one fuel line. 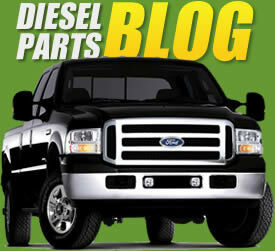 High-pressure common-rail injection technology has revolutionized the diesel industry. Over the last decade, it has allowed engine builders to run higher injection pressures (as much as 29,000 psi in the new LML Duramax and 6.7L Power Stroke) in order to increase efficiency, while greatly reducing emissions. Use of the common-rail system has also facilitated multiple injection events (making diesels quieter). The icing on the cake is that these cleaner-burning engines make much more power than their predecessors. The CP3 injection pump’s sole job is to create and regulate high-pressure fuel (it’s not timed with the engine’s crankshaft and camshaft). The fact that the CP3 came from Bosch’s heavy-duty line of injection pumps also speaks to its great reliability, as it was designed to play a vital role in million-mile engines. At TamerX we stock 100 of Pump and Fuel related products ready to ship. Our staff of factory trained technicians have more than 30 years of combined industry experience. TamerX Diesel Products are designed to last longer than OEM. Why? Becasue we are able to see fist hand OEM design flaws. This information is then used to provide a product that functions better, last longer, and provides a better value to our valued customer. With Our "Hassle Free Warranty" Choosing TamerX Diesel Product is made easy. At TamerX we stock 100 of Pump and Fuel related products ready to ship. Our staff of factory trained technitions have more than 30 years of combined industry experience. TamerX Diesel Products are designed to last longer than OEM. Why? Becasue we are able to see fist hand OEM design flaws. This information is then used to provide a product that functions better, last longer, and provides a better value to our valued customer. With Our "Hassele Free Warranty" Choosing TamerX Diesel Product is made easy.